It is the 1st toothbrush and introduces the concept of holding a toothbrush. The thick and contoured handle makes it easy for baby to grasp. 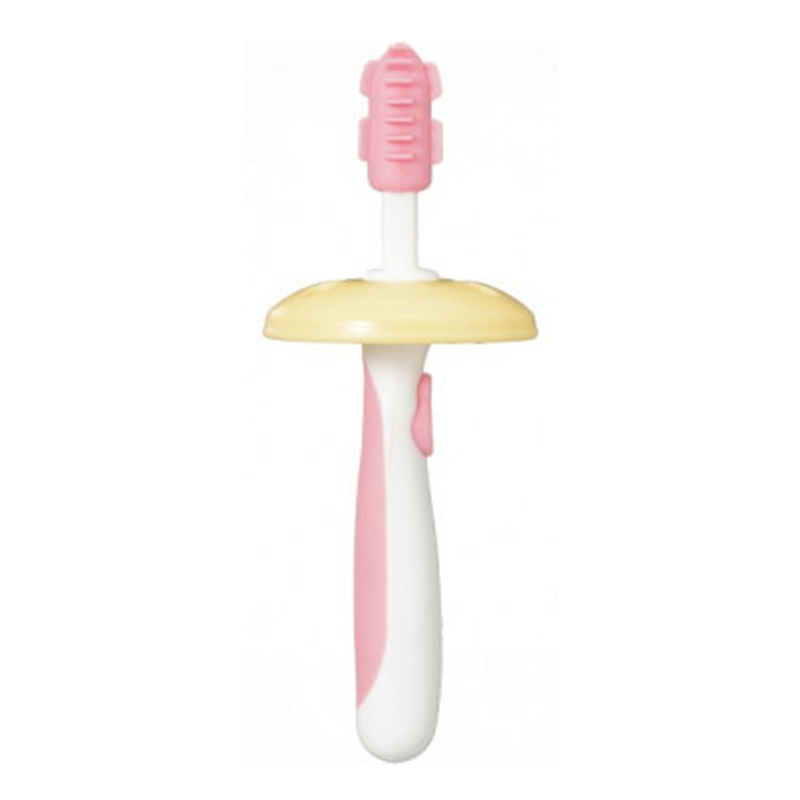 The soft elastomer rubber head is soothing to baby's tender gums.